This anchor chart is designed to help students remember how to use the apostrophe to show ownership for singular and possessive nouns. The adorable bee clip art images are by Michael Rawls. The girl image is by the talented From the Pond. Last spring I created these two PowerPoints using the BEE theme. 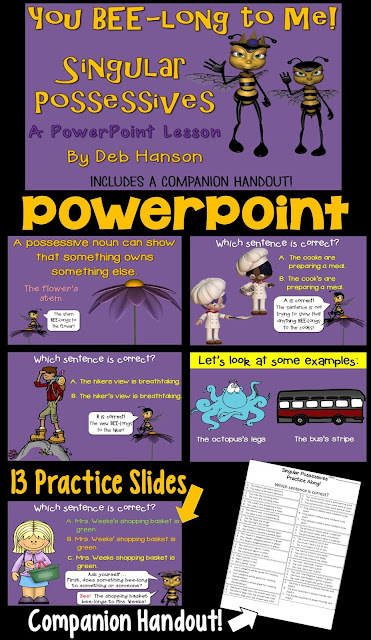 Both PowerPoints come with a worksheet companion so that students can follow along and be totally engaged in the PowerPoint presentations! 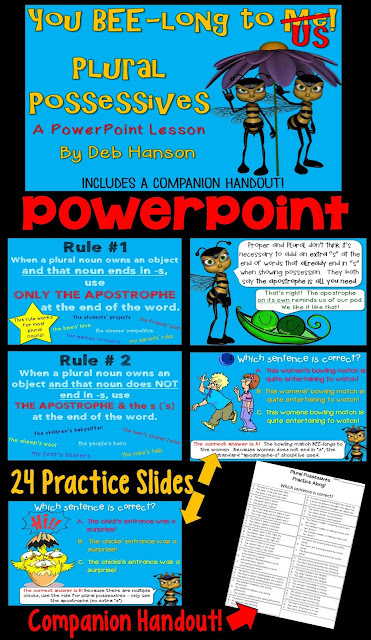 This is page 1 of the worksheet companion that goes with the Singular Possessive PowerPoint. I love your anchor chart! 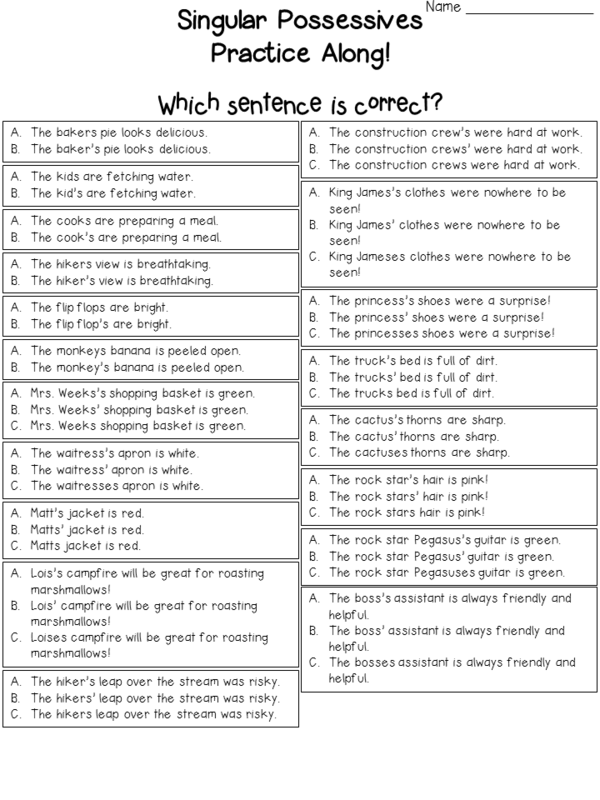 Teaching possessive nouns gets tricky for many students. I have your Power Points on my wish list. Thank you! I'm so glad that you like it! Thank you! My 5/6th graders struggle with possessives so much, mixing up when/how to use the apostrophe. I grabbed your powerpoints a while back and can not wait to use them with my kiddos. I downloaded the game that you recommended. 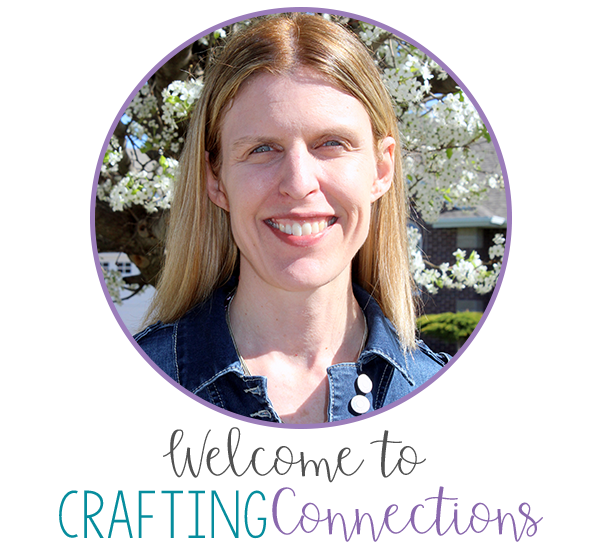 I can always use some fun practice for my students in this area! THANKS! Love this anchor, Deb! Pinned to use with my kiddos! Thank you!! !